This one’s a little bit interesting. I had never heard of it before, but I was intrigued. It’s called a White Cargo. It’s 2 oz. gin. And 2 oz vanilla ice cream. Odd, yes. 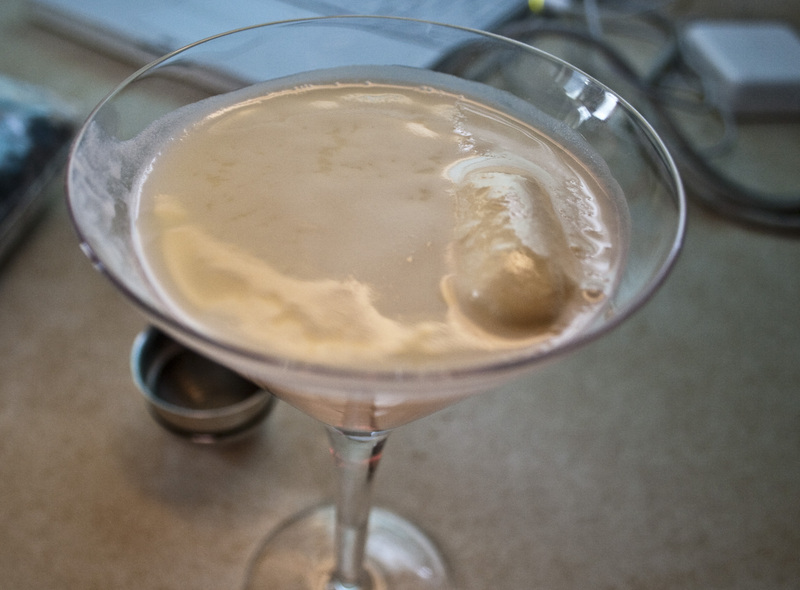 The original recipe called for you to shake the liquor and ice cream together without ice. It needs ice. Trust me. It needs to be watered down and needs to be cold. The first version puckered Jenn’s lips and crossed my eyes. I mean, straight up gin kicks you straight in the jaw. However! Once we shook it with ice, then allowed the ice cream to melt into the cocktail, it was much smoother and easier to drink. It likes kinda funky. And tastes kinda funky. But George Clinton was funky. So that's cool.